Kyoto Univ. Prof. Kimura Lab. Welcome to Prof. Kimura's Laboratory! Geomaterials support all of the civil structures and environments as a ground. Therefore, we need to study the response of geomaterials to earthquakes, weathering, the changes of climate etc. accurately in order to build the civil structures and maintain environments safely. Furthermore, it is important to clarify the complicated soil-structure interaction and the mechanical behavior of structures. Our re-search activities focus deals on one hands with constitutive models for geomateials and on the other hand with the interaction between soil and structures through experiments and numerical analyses. Ryunosuke KIDO was appointed as the Assistant Professor of Geomechanics Laboratory. Previous examinations of Soil Mechanics in 2018 are updated here. Yasuo SAWAMURA promoted as the Associate Professor of Urban Management System laboratory. Darmanto Budi Luhur, M2 student in this lab, got Best Presenter Award. We attended 9th International Conference on Physical Modelling in Geotechnics 2018. Prof. Kimura gave a lecture at Fundamental Geofront Engineering. Lecture material is here. Prof. Kimura gave a lecture at Introduction to Global Engineering. Lecture material is here. Prof. Kimura gave a lecture at Geoenvironmental Engineering. Lecture material is here. We attended The 30th KKHTCNN Symposium on Civil Engineering. We attended The 19th International Conference on Soil Mechanics and Geotechnical Engineering (ICSMGE2017). We attended The 3rd International Conference on Tomography of Materials and Structures (ICTMS2017). We attended The 29th KKHTCNN Symposium on Civil Engineering. We attended The 2nd Asian Conference on Physical Modeling in Geotechnics (Asiafuge 2016). We attended The 6th Japan-Korea Geotechnical Workshop. We attended The 3rd International Conference on Transportation Geotechnics. Assist. 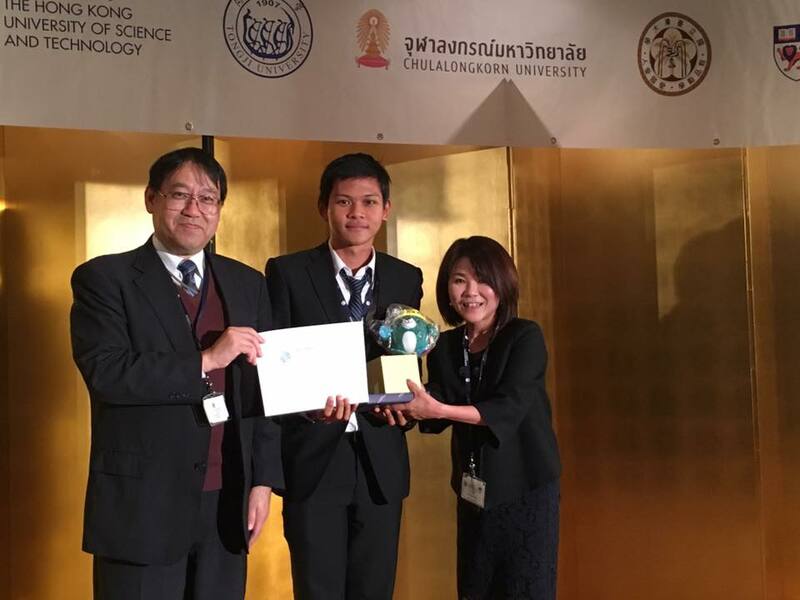 Prof. Sawamura attended The 8th Asian Young Geotechnical Engineers Conference. We attended International Conference on Sustainable Design, Engineering and Construction. Four undergrads join our laboratory. We attended The 28th KKHTCNN Symposium on Civil Engineering. We attended The15th Asian Regional Conference on Soil Mechanics and Geotechnical Engineering. Three undergrads join our laboratory. We attended The 27th KKHTCNN Symposium on Civil Engineering. We attended The 14th International Conference of the International Association for Computer Methods and Advances in Geomechanics (14IACMAG). We attended the 10th IWBDG (International Workshop on Bifurcation & Degradation ofGeomaterials). copyright©2014 Geomechanics Laboratory. all rights reserved.